Only Adults can take part in this hobby! 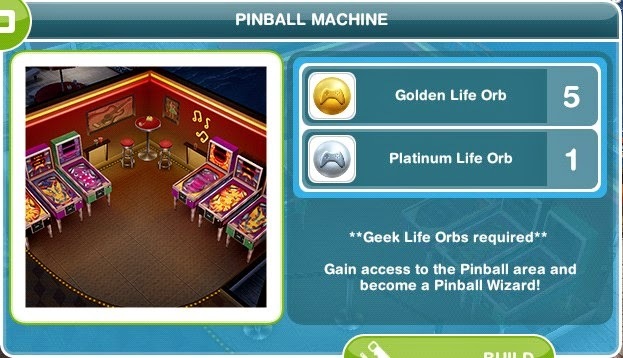 It also requires to have the Pinball Machine built. You can pay the building cost in part orbs, part LPs. The total cost is 1050 LPs if no orbs are used. 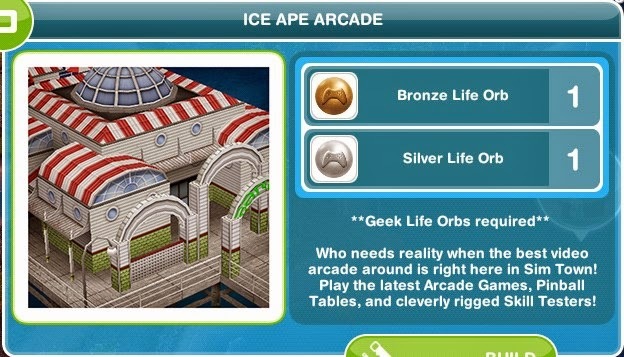 Find an Adult Sim and whistle them to the arcade. Tap the Pinball Machine (in the back) and start with the first of one hour. With every row collected the time increases as shown in the table below. The first time unlocks new machines. 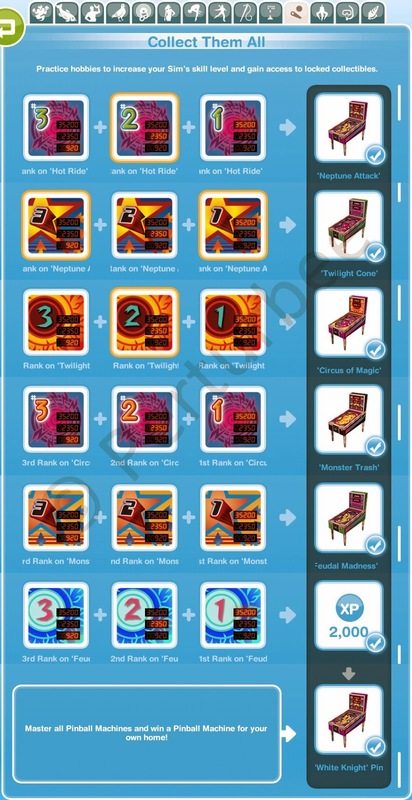 Please note: ranks already collected will NOT yield the rewards again if filled in on the collectibles grid. 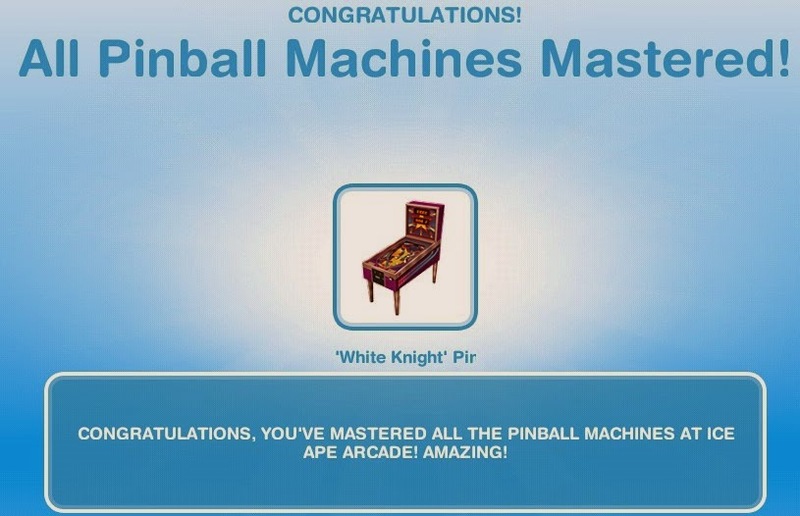 The first time collecting all the prizes unlocks "White Knight Pinball Machine" for at home.